Feng Shui is a science that states the art of living. Implication of Feng Shui brings good luck in both personal and professional lives. Our Feng Shui Water Incense Sticks Series collection is a combination of chosen materials that evokes positive energy and even out the imbalances of the body. Our Feng Shui Water Incense Sticks smell good, which captivates all the senses. Its effects are extremely soothing on the whole mind and calming on tired nerves. Regular use of our Feng Shui Water Incense Stick entices the positive energy to bring good luck for the concerned person. 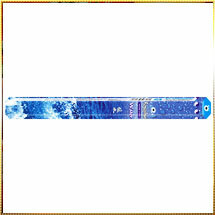 These water incense sticks are available in fancy packaging and prices are comparatively low when evaluated with the quality of the product.